What would you make if you could build anything you wanted? Sounds like something out of a sci-fi movie but 3D printing is real. 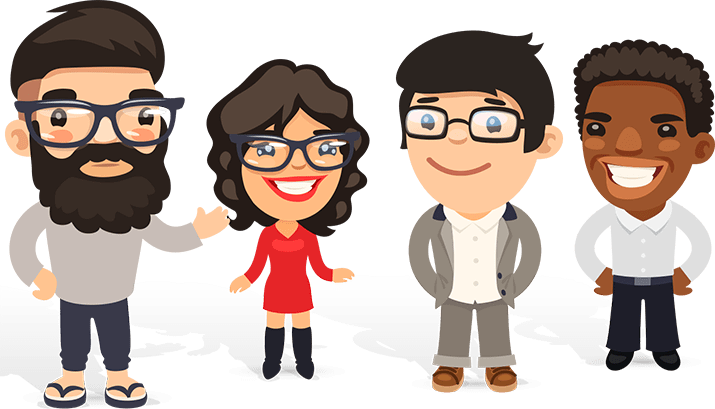 In the past few years, it’s been used to produce everything you could dream of including gadgets, toys, jewellery, food, and body parts. Even NASA are big fans! Good question. 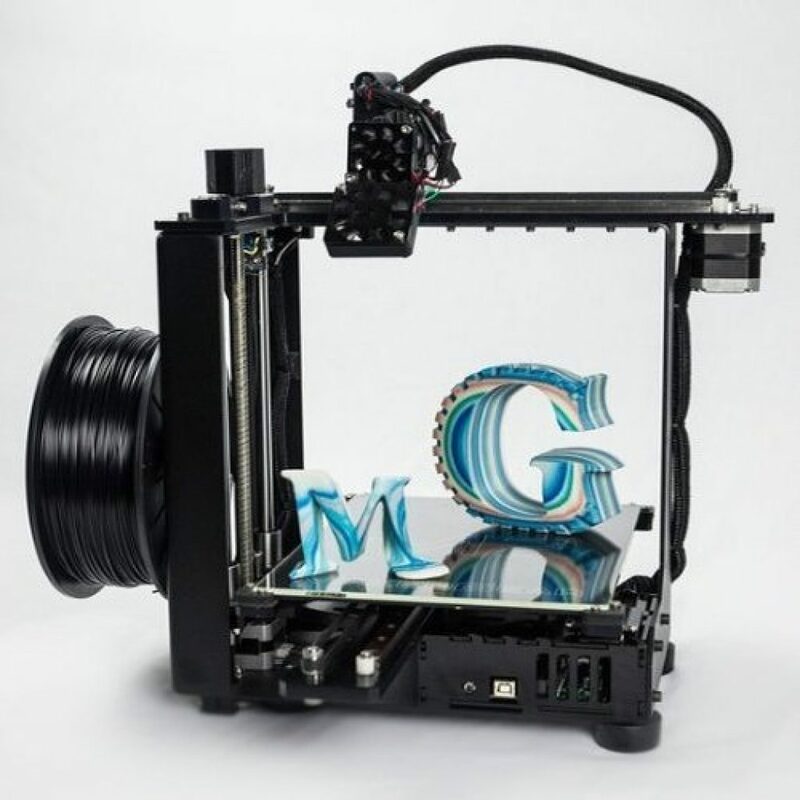 3-D printing also goes by the name “additive printing”. It takes a three dimensional digital model and then prints a physical object by adding thin layers of material one by one. 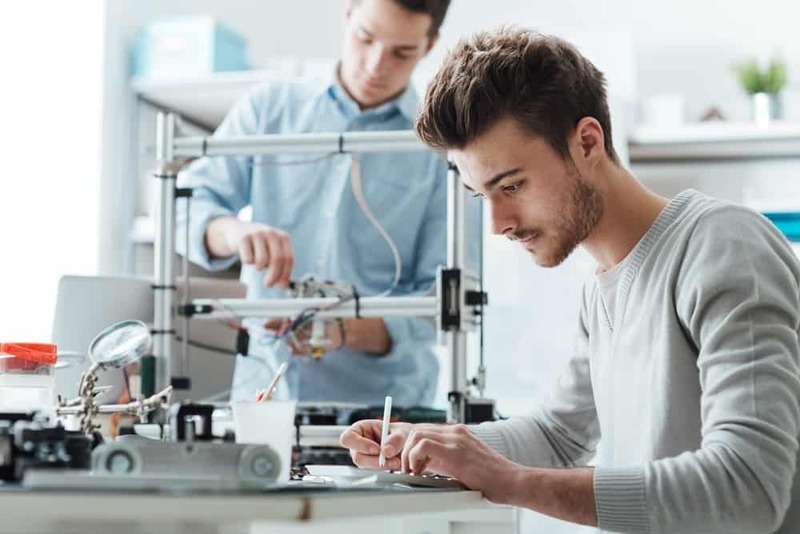 Initially 3D printing was highly specialized tech used to manufacture complex parts at a fraction of the normal cost. Now this mind-bending technology is available to anyone. How do I buy a 3D printer? As you can imagine, there are A LOT of 3D printers on the market. Models vary on price, build and size. Some machines can handle hard materials like metal while others cannot. 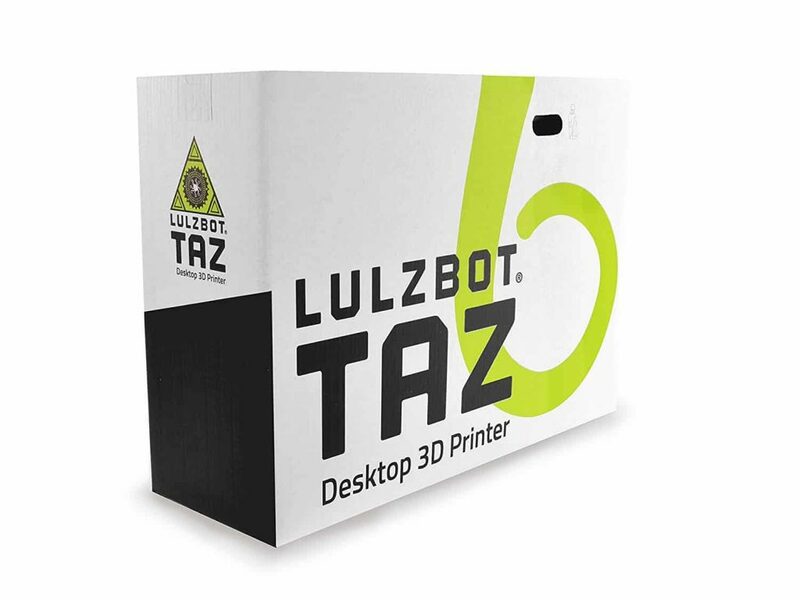 There’s a lot of things we like about the LulzBot TAZ 6. It’s easy to use, reliable and sturdy. That makes it ideal for beginners and professionals alike. It offers a print area of around 11in x 11in x 10in, which is larger than most comparable models. You’ll definitely get value for money by being able to make lots of small prints or one very large print instantaneously. 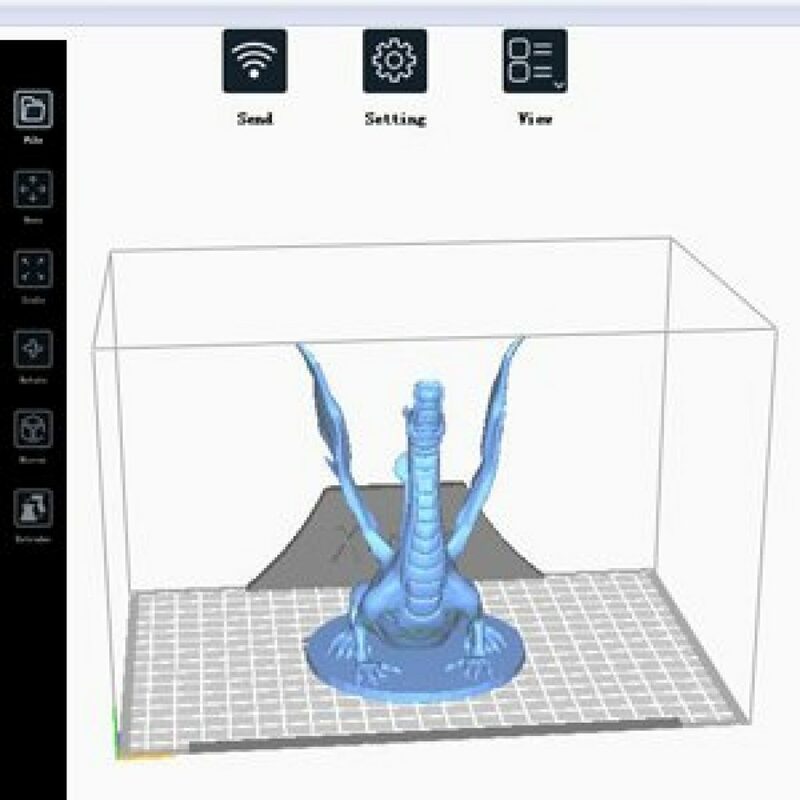 The next great thing about this 3D printer is that it comes with open source software. It means you never have to pay for software or upgrades (!). That’s important to avoid those creeping costs… It’s also got decent speed so you can do mass-printing in a jiffy. The machine is built from a mix of aluminum and metal parts so this is a sturdy machine that will print at full throttle. 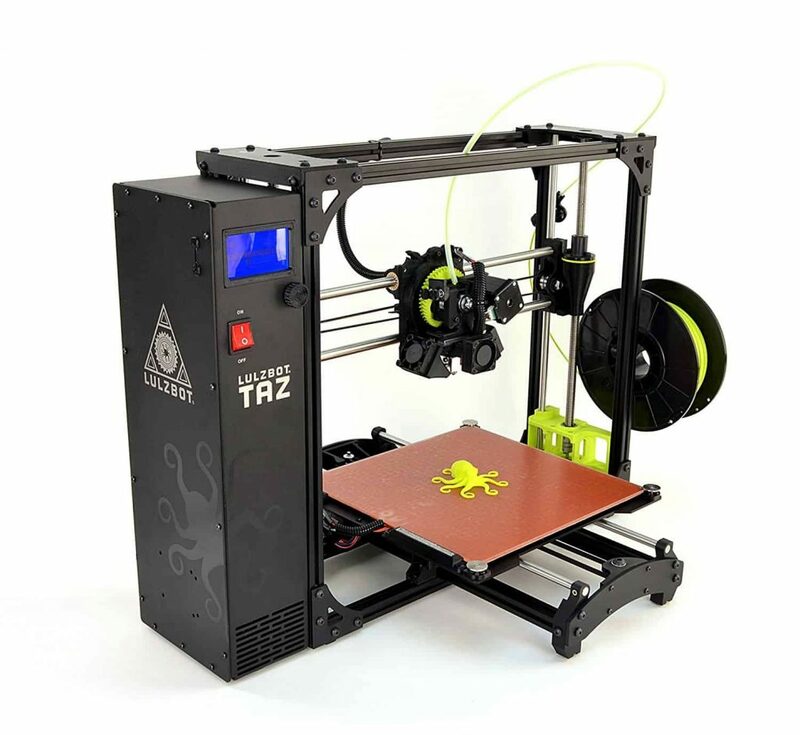 This makes the Lulzbot ideal for modern school environments where students can have fun making their own prototypes. This is a big machine so you’ll need to have ample space in your home or garage to operate it properly. Be prepared to do some DIY assembly on arrival. This is a very good 3D printer. Yes, it requires setting up but that was super easy even for a total novice, thanks to the simple manual. Using the software to create your bespoke designs is fun and straightforward. For opensource software this is pretty advanced, allowing you to select between normal and expert mode for full customization. You’ll even receive tips based on your materials. The print quality is decent, especially if you specify your settings. If you’re looking to do a ton of printing fast, this printer is dead on reliable. 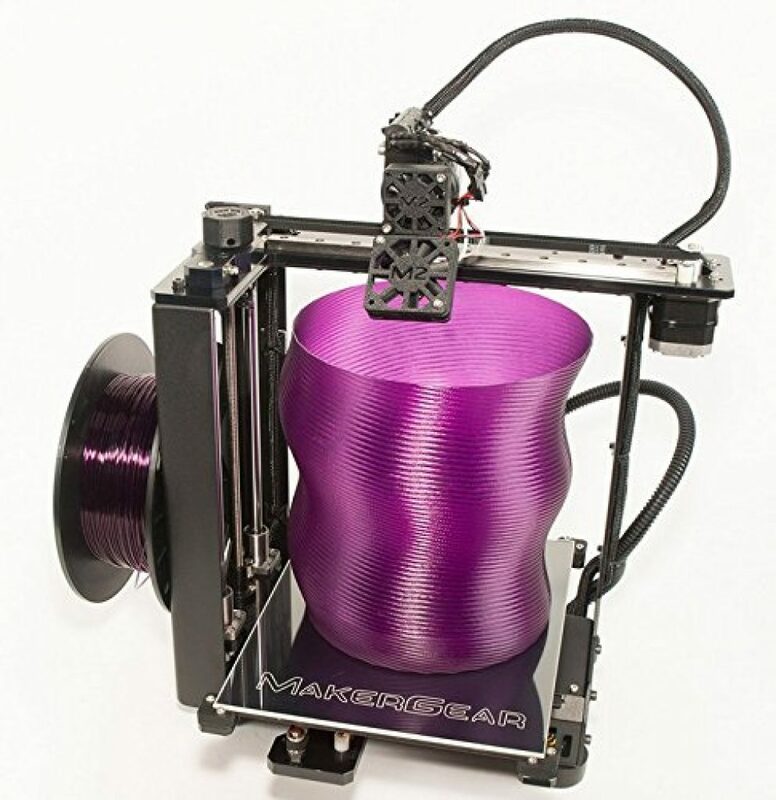 First things first: We love the black, futuristic design of this 3D printer from MakerGear. As with the Lulzbot, this printer is solid. The frame is constructed from steel and cast aluminum parts that are perfect to withstand heavy use. The machine is ready to use straight out of the box so you don’t have to mess around like with IKEA furniture. Once the machine is set up, we would even go so far as to say that this machine feels sturdier than the Lulzbot. We see the difference when we go to print. The print bed on this machine is secured by four points. That makes it easy to level and you don’t have to do any manual z-compensation or “auto-levelling” to get a good result. Similarly to the Lulzbot, the MakerGear offers open source software. This is a big win because it gives you much more creative freedom. You should still take the time to learn the machine inside out and to get your settings tuned up just right. The drawbacks? If we were to nitpick, the fans could be more effective. This is a beast of a machine so if your room isn’t ventilated, you’ll get very hot. Also the M2 shakes a lot during short moves. It’s not dangerous as long as your machine is on a proper surface. Another thing you will want to know is that the build area is noticeably smaller than the Lulzbot. So if you’re looking to go big with your designs, that machine will be more up your street. 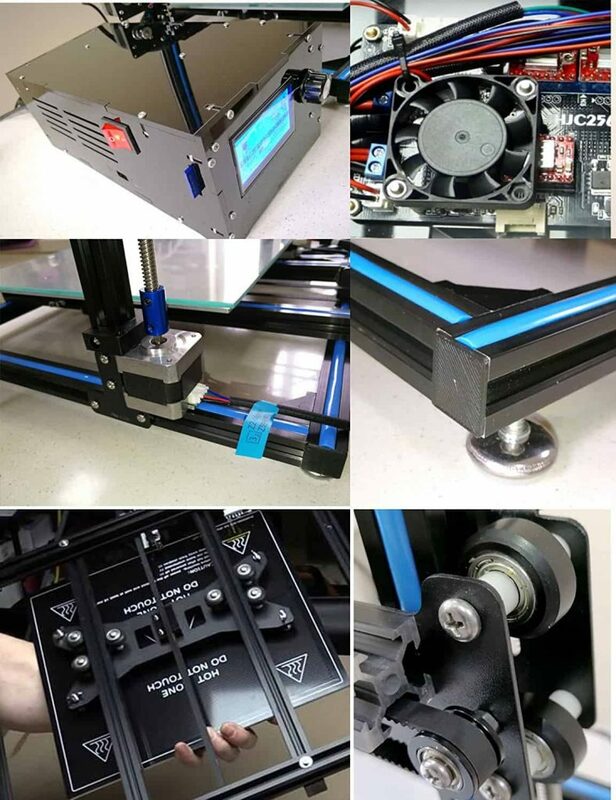 If you’re a professional and find that the Lulzbot print quality is a little hit and miss, we say go for the MakerGear. The same goes if you’ve already owned 3D printers in the past and are looking for an upgrade. 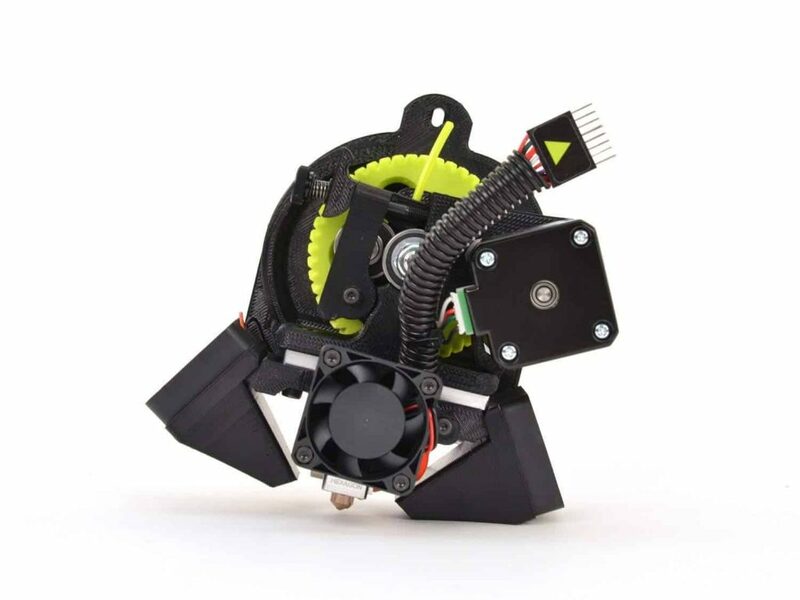 Work in a school or looking for a compact 3D-printer to have fun with in your garage? 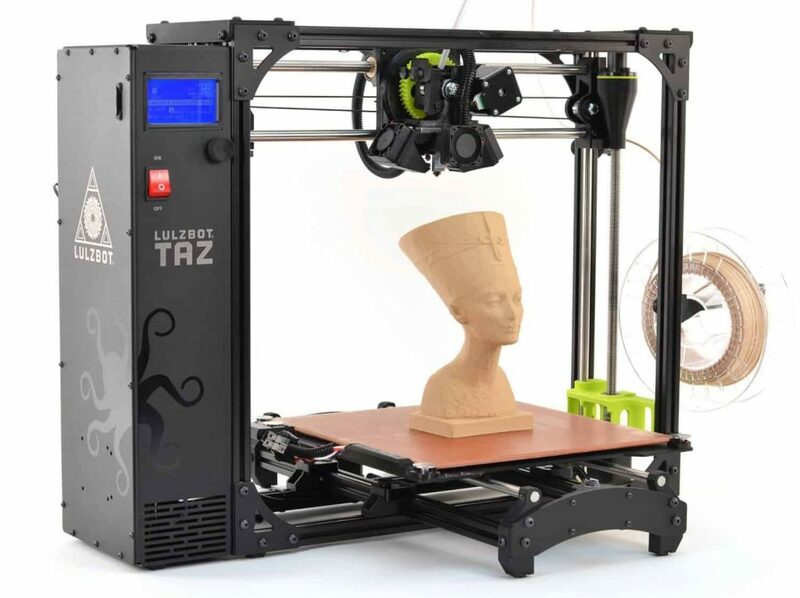 Our best budget choice is that ADMILab 3D printer. 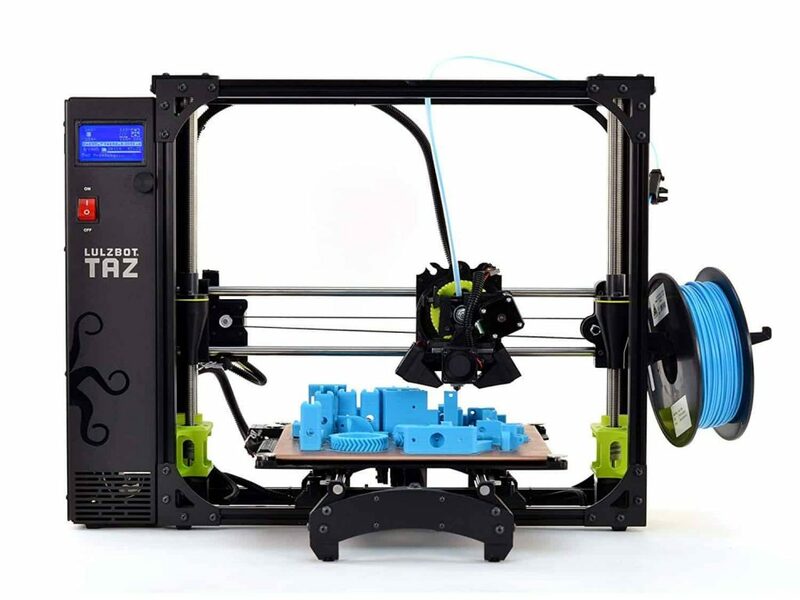 Coming in at less than $399, this 3D printer is amazing value for no-fuss printing. Let’s start with the unboxing and assembly. This 3D printer comes almost ready built, which is a sigh of relief. It only takes 15-20 minutes to get everything connected up and calibrated. Each component feels sturdy, including durable glass and an aluminum plate. The printing size is a generous 310 x 310 x 410mm, which will allow you to easily print larger items. Speaking of the printing process, the ADIMLab feels sturdy enough that it doesn’t require constant babysitting. You can leave it to do it’s thing, while you catch a break. Everything is completed equally as fast as the high end models. This is a relatively basic 3D printer. 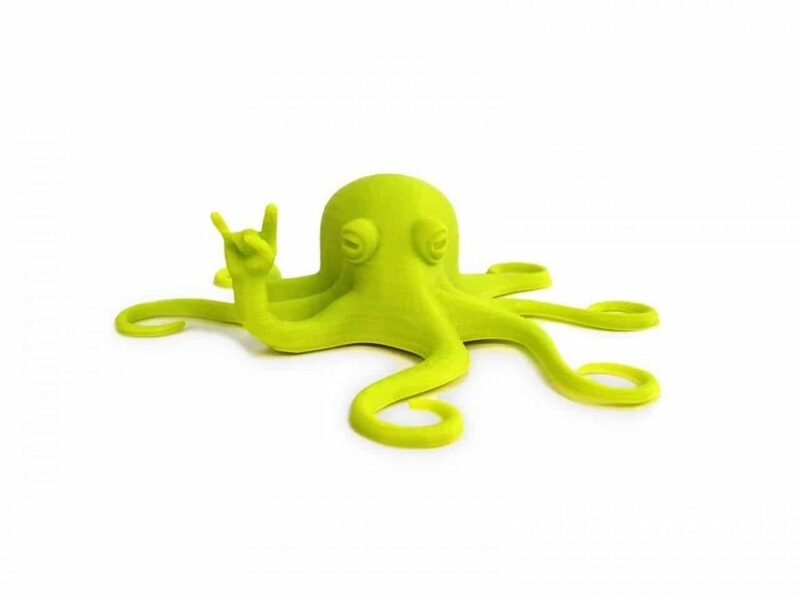 It’s ideal for anyone who is getting into 3D printing or simply loves experimenting with relatively simple designs. It would be great for school pupils, for example. 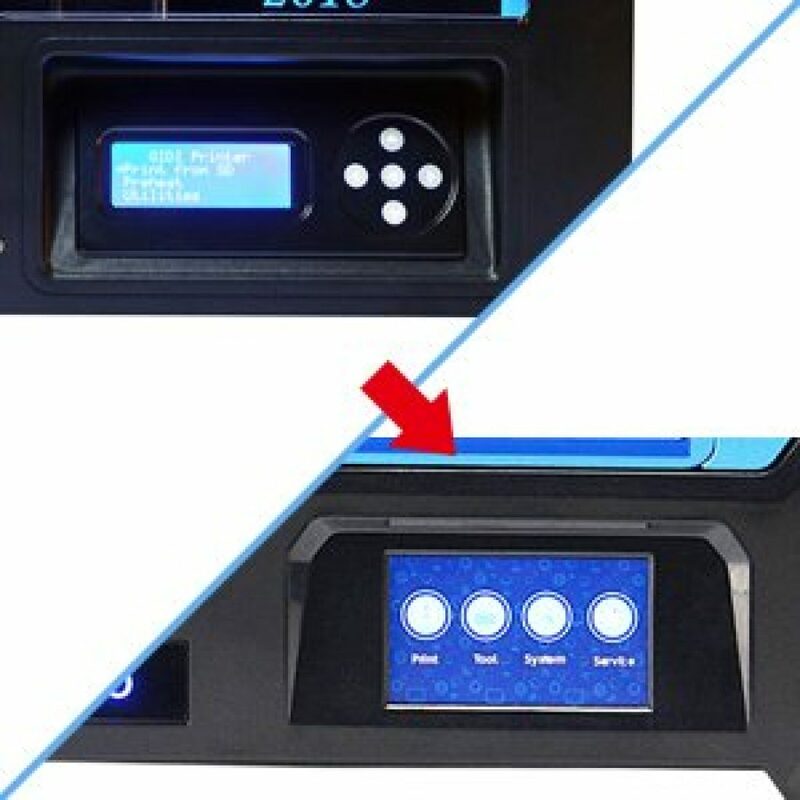 The leveling of the printing bed is a little off at times and requires manual correction, but the company offers an upgraded version, which is well worth investing in. At a time when you'd expect to pay over $1,500 for most 3D printers, we struck lucky with the ADIMLab. It's a new brand that delivers on making 3D printing more affordable. Sure, there is room for improvement, especially with the auto levelling. 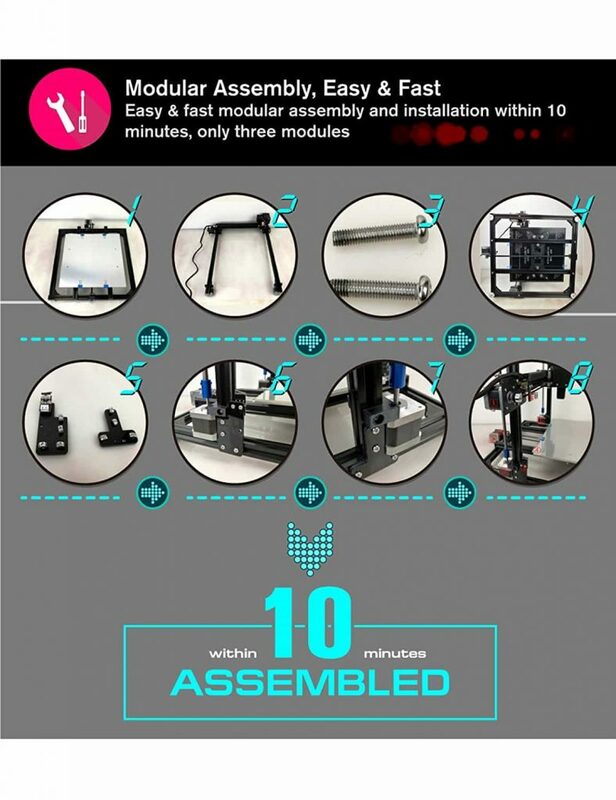 But if all you want is a straightforward and reliable 3D printer on a shoestring, grab it now. There is also a full 1-year warranty with customer support included for your peace of mind. Another great mid-range 3D printer, the Flashforge doesn’t disappoint. 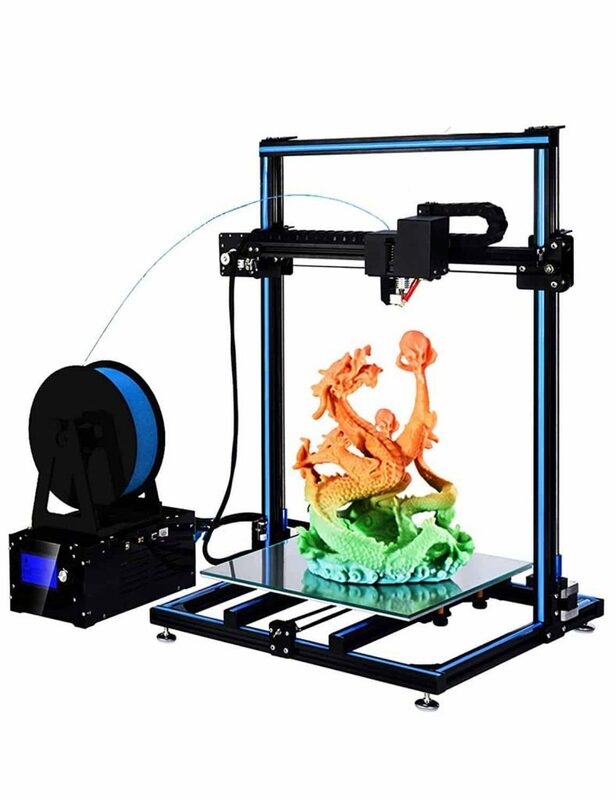 Encased in a strong metal frame, this 3D printer comes with a warp-resistant aluminum bed that performs well under almost all conditions. Right away you can tell the quality of this 3D printer. 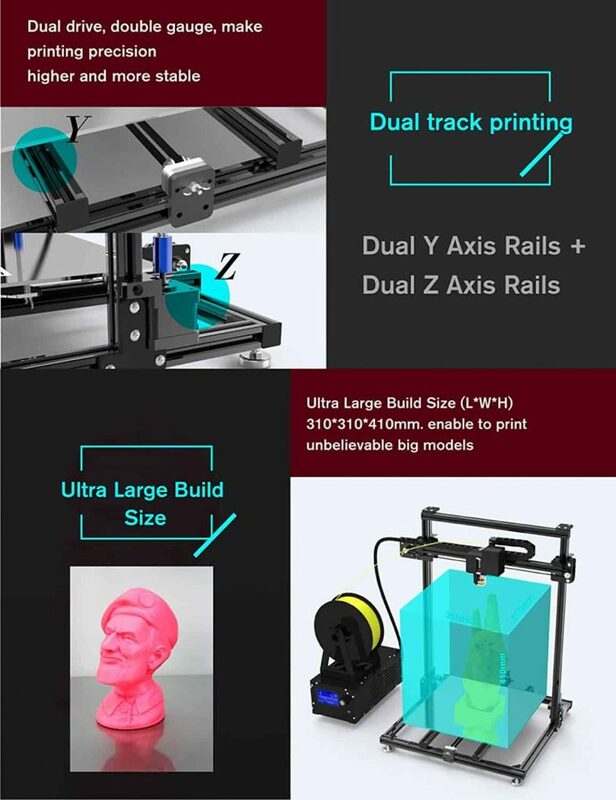 The company, Flashforge, have released multiple models but this one stands out for its fair price and upgraded features. There is an LCD screen at the front, which is very easy navigate. There is also an SD card slot, which makes importing designs a breeze. Moreover, printing from an SD card is much more secure as you won’t have to worry about your computer crashing mid-print! 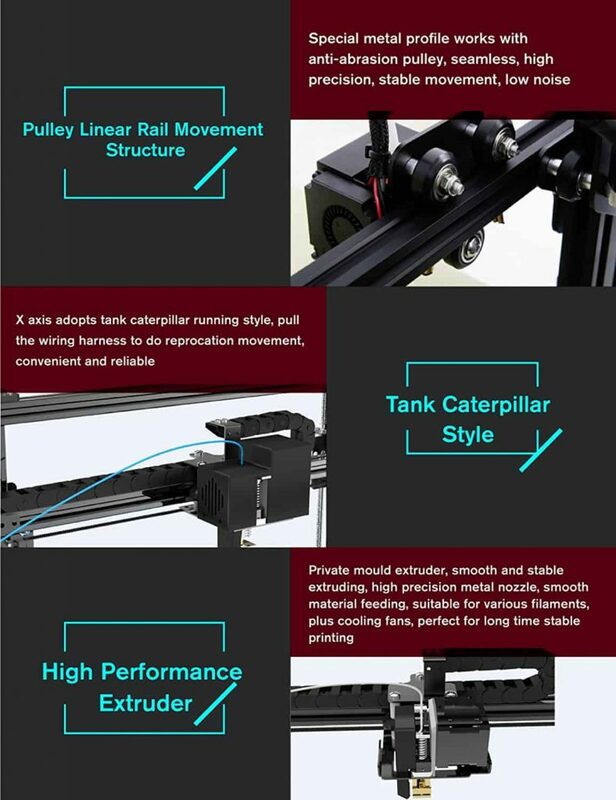 The printing process is controlled by a strong guide rod (z-axis), which ensures accurate movement. The print bed is lit up with LED lights, which is not only highly practical but makes the machine look ultra modern. Patience is required as this printer can take up to 6-hours to complete one cycle. 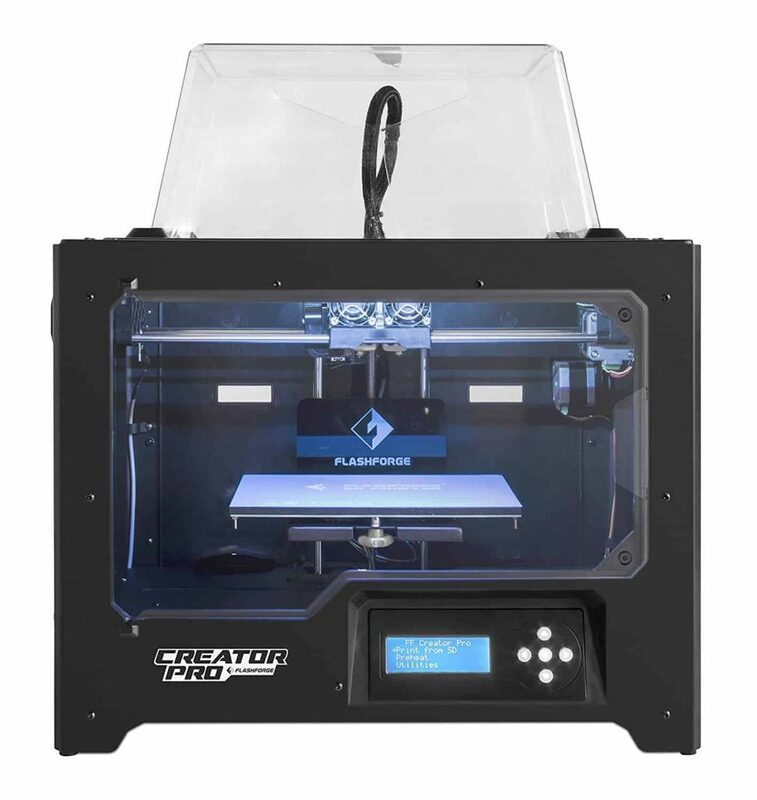 This is isn’t far off from most 3D printers out there, but it’s not the fastest machine you can buy. It also takes a little time to set this machine up so that it is perfectly balanced and aligned. If you’re inexperienced with 3D-printers, don’t be put off as you can request installation support for just $140 extra. The Flashforge is an excellent 3D printer for novices and professionals alike. It's blissfully easy to use, and produces high quality, precise prints. 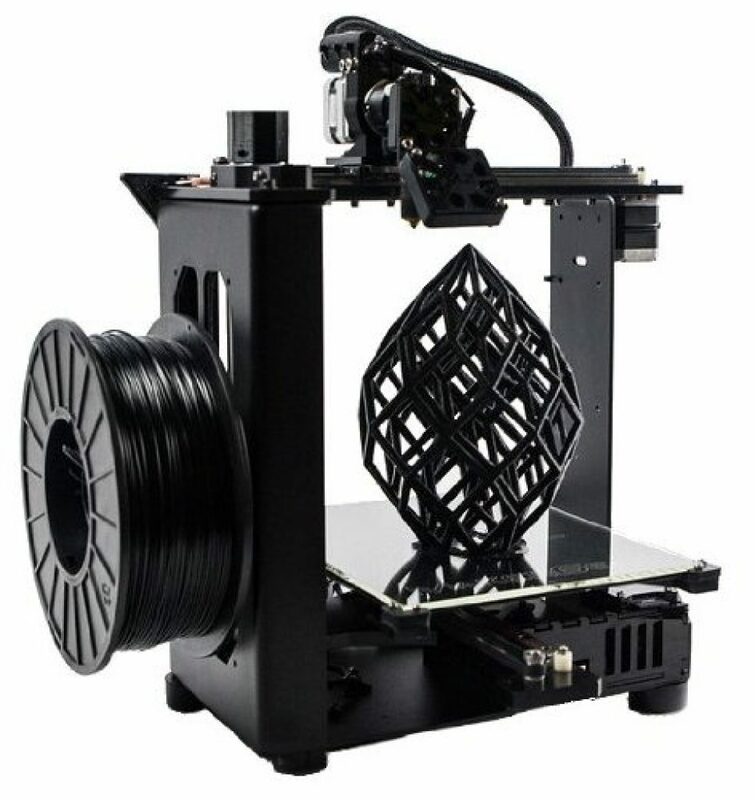 It takes a while to get used to, but once you're up and running, you'll be very impressed for the price point..
Next is a super slick, well-priced, 3D printer from popular brand QIDI. The quality of the printer is outstanding, with hard-wearing materials used throughout. This 3D printer can be used to produce anything from complex designs to practical home ware. The QIDI has a lot of the same features that you’d expect to find in an exclusive professional-grade 3D printer. This is a flagship model that has been completely re-designed. As a result, you get a higher 12mm axis that gives better control over the print. The printing plate is made out of metal (not cheap plastic! ), and is removable, which makes extracting your final product much easier. The heating bed works flawlessly and is made out of top quality CNC machined aluminum. As with most other brands, you can use ABS and PLA filaments. Finally, the 4.3” touchscreen and QIDI Tech 3D printer software work without a glitch and are quick to learn. There aren’t many faults to pick with this highly efficient model. However, it is on the noisier end of 3D printers. The culprit is the turbo fan, which is so powerful that you’ll definitely hear it. As long as your 3D printer is set up in a separate room or you limit the printing hours, you should be fine. 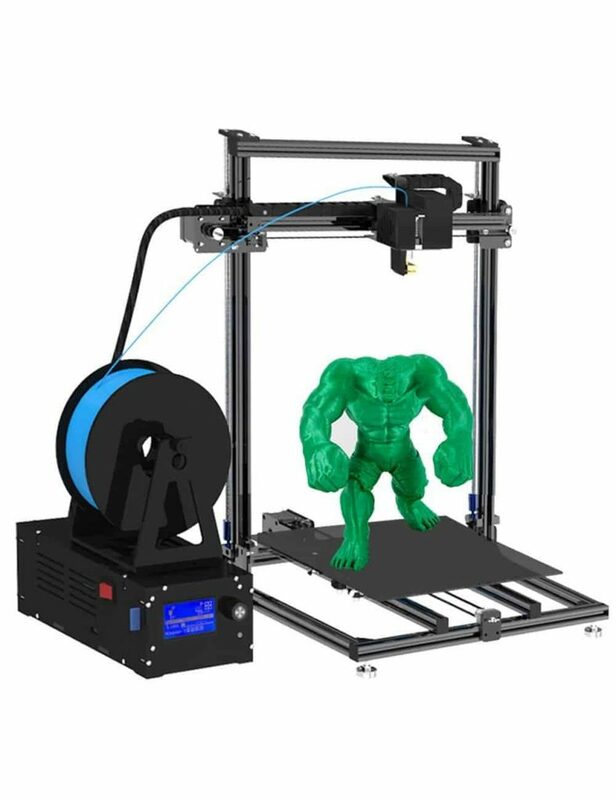 If this 3D printer was described in a few words, it would be: Great all-rounder. It proves that you don't always have to pay thousands of dollars for an equally efficient machine. Amazon is running a great offer with free returns, so if you're serious about getting into 3D printing, give it a go. 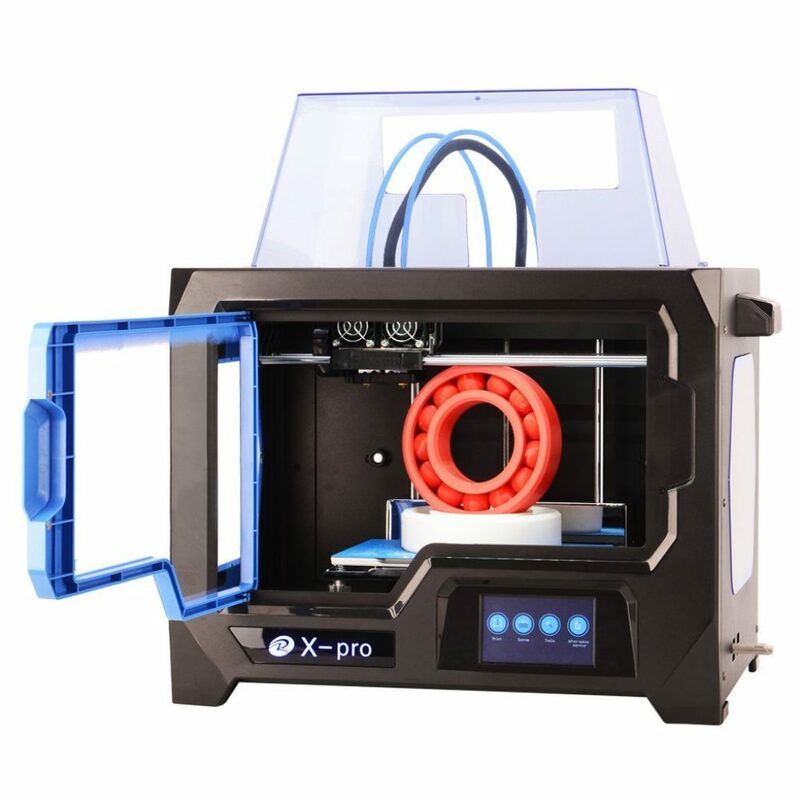 The latest update of high precision dual extruder 3d printer X-Pro with overall leading position. Released in January 2018. Below are the upgraded programs. 6mm aviation grade aluminum build platform, can be heated to 120C. 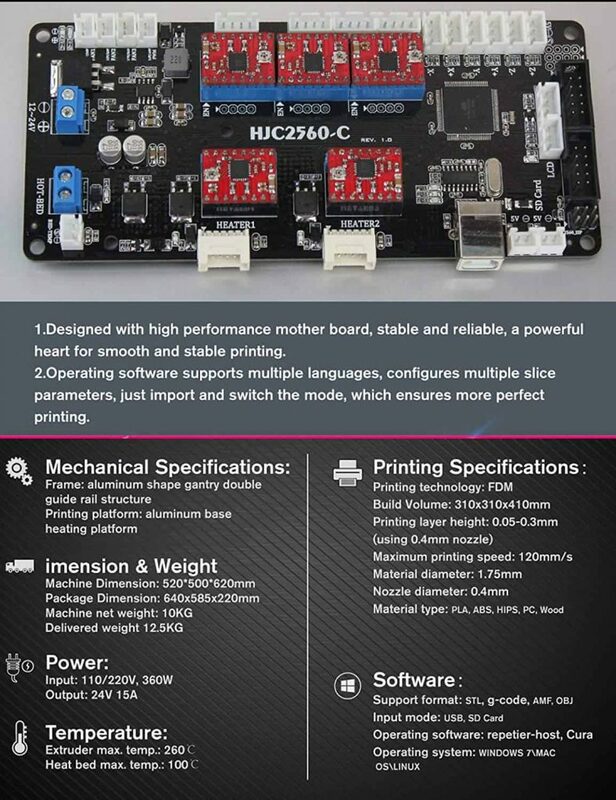 Removable curved metal plate is more convenient to remove the model after printing, received high praise from users.